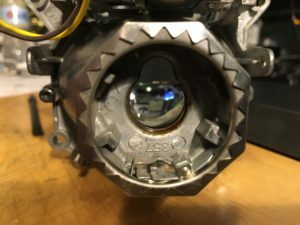 You may have seen references to various D-Series HID (xenon) bulbs in the context of projector swaps, D1S, D1R, D2S, D2R, D3S, D3R, D4S, D4R, sometimes even D2C and D2H. So what’s the difference? 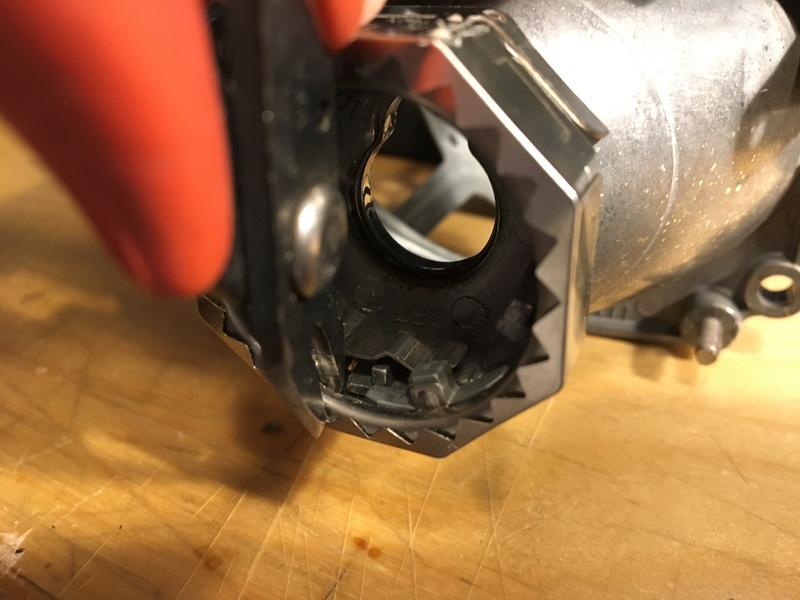 All of these bulbs have the quartz envelope and arc positioned in the same place – so any D-series projector can use any D-series bulb by bending/cutting out the indexing tabs. 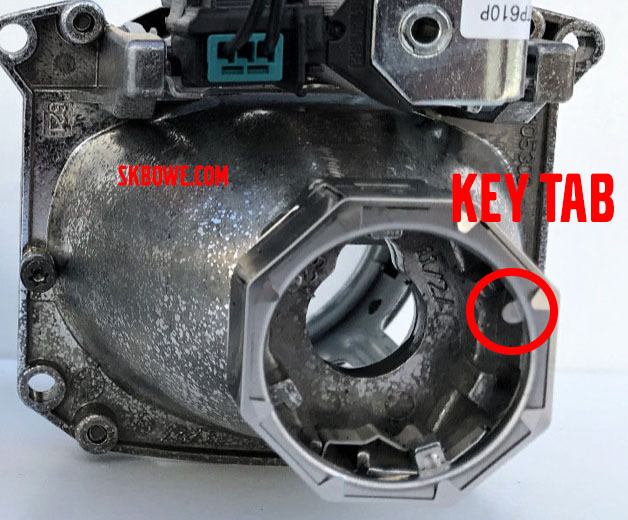 For example, if you buy a AL Gen2 projector from an Audi but want to use aftermarket D2S bulbs + ballasts, just bend down the key tab! Please don’t use D*S bulbs in reflector headlights as it will effectively be a high beam and blind oncoming traffic! HID bulb types. Read more about them in this HIDPlanet thread. ECG is the technical name for ballast. 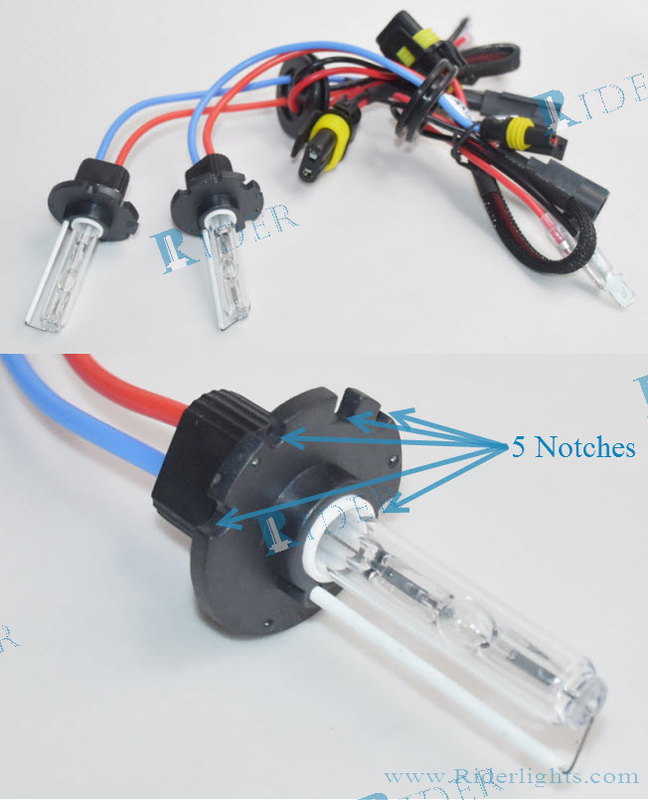 All aftermarket ballasts are designed to use D1 and D2 bulbs only, and will not operate the other bulb types. 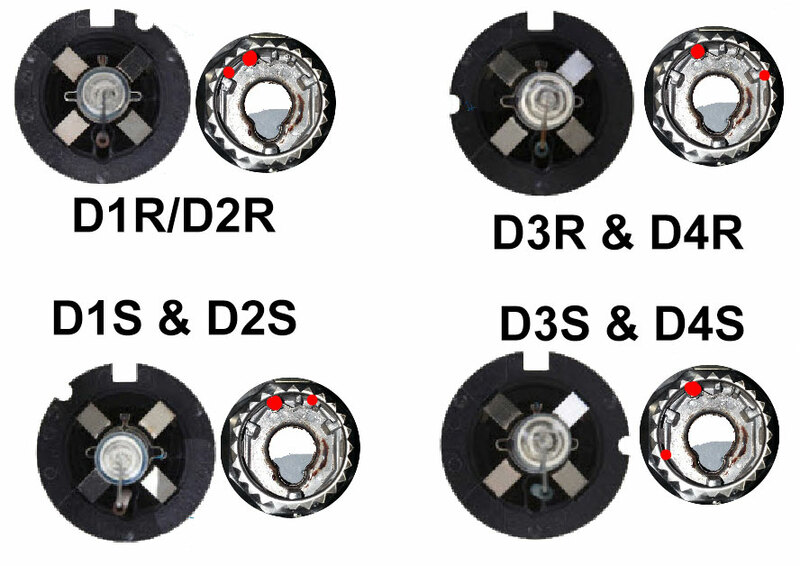 D-Series bulbs are named using 3 characters, like “D1S”. 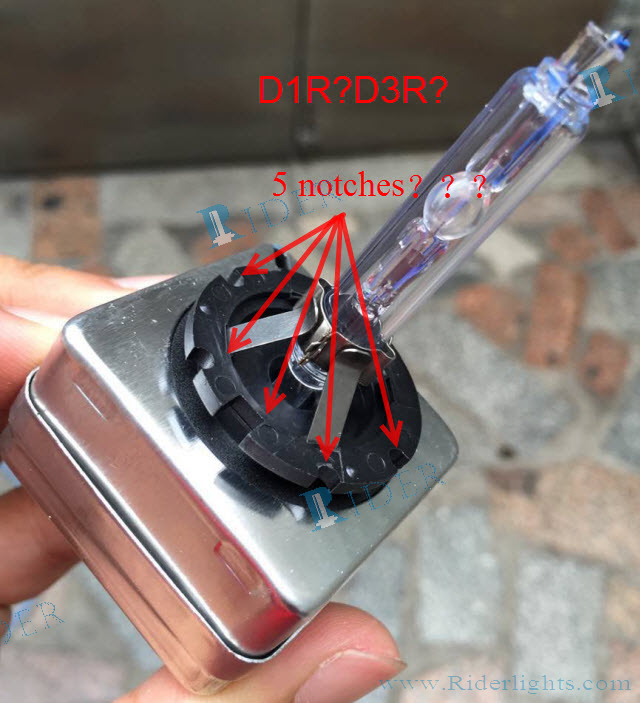 The D1 and D3 bulbs have an integrated ignitor (silver box) on the back of the bulb. D2 and D4 bulbs use ignitors that detach and stay with the headlight. 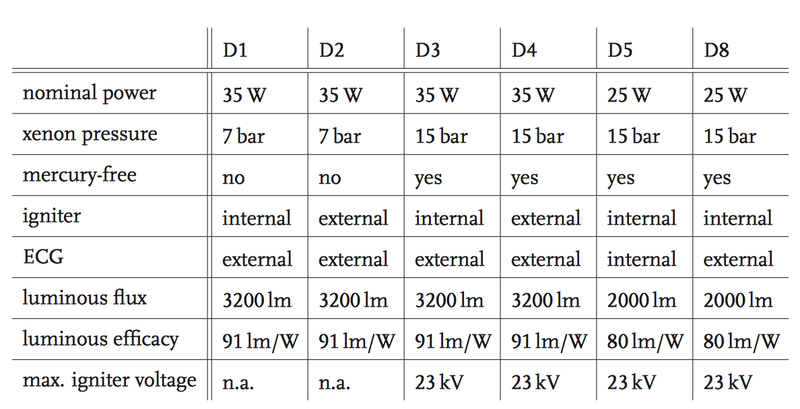 Mercury bulbs (D1S, D1R, D2S, D2R) run at 85V AC. 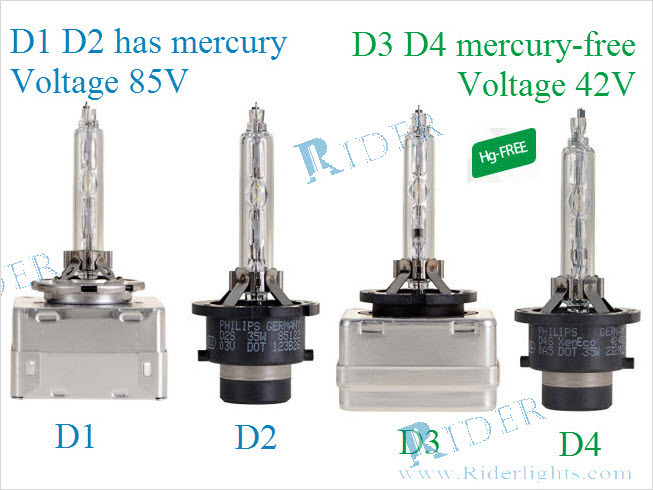 Mercury Free (hg free D3S, D3R, D4S, D4R) bulbs run at 42V AC. 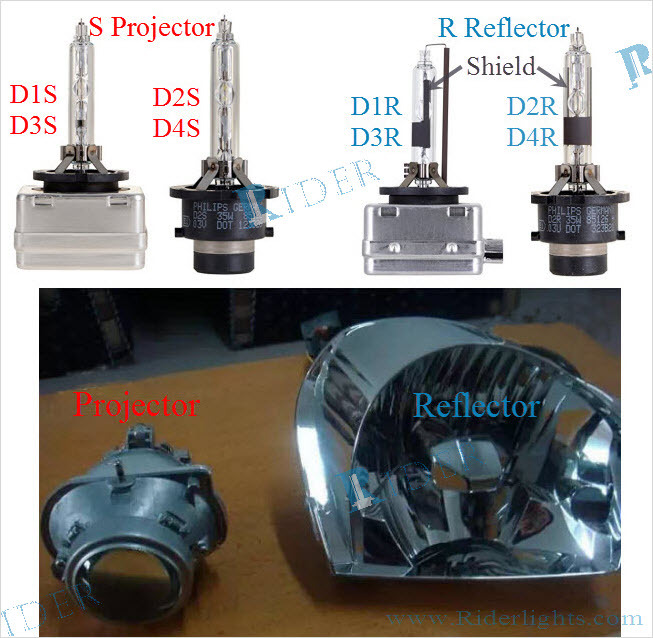 S series bulbs (D1S, D2S, D3S, D4S) are used in projector lamps, R series bulbs (D1R, D2R, D3R, D4R) are used in reflector lamps. What if you are given D1R and D3R or D2S and D4S without label? You can’t see if there is mercury inside (and thus the voltage). It is possible to differentiate using the notches on the bulb. The closest to OEM we can get without paying dealership pricing are the Philips line of D1S, D1R, D2S, D4S etc… which run around $50-60/bulb. 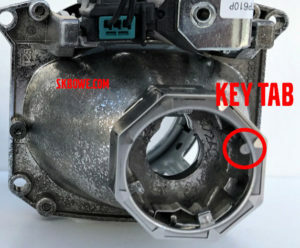 However, off brand aftermarket manufactures offer HID bulbs at a fraction of the price (e.g. HID warehouse , RCP , and HYB with comparable reviews – HYB also makes knockoff projectors BTW), though (in general) they won’t last as long or have as consistent of a color temperature. Since all of these bulbs have the same base dimensions and hold the arc in the same location, aftermarket manufactures have cut costs by reducing the number of different models to produce. The result, sometimes called the D*C type (though this isn’t a real specification), universally fits multiple project key notches. For D1/D3, a removable ignitor adapter is available. Aftermarket manufactures don’t want to make a lot of different models. D2C that can replace both D2R and D2S. 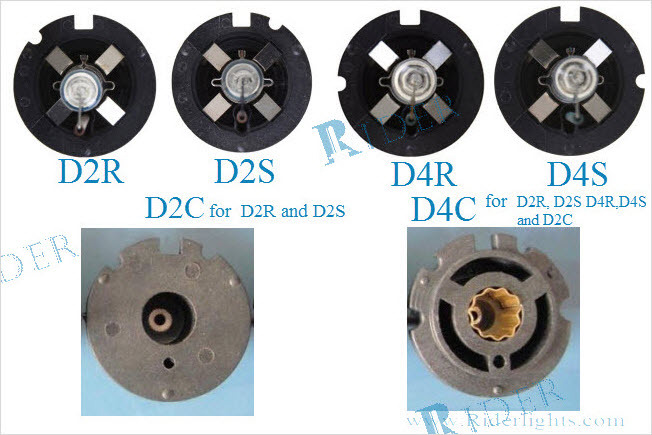 D4C for D2S, D2R, D4S, D4R and D2C. D1S with 5 notches won’t be hard to understand. All of this makes it simpler for production, but much more complicated for consumers… And most sellers even don’t know about the real reason or the difference. But there is still the voltage difference – even though they might fit, D1/2 bulbs must not be used with D3/4 ballasts or vise versa! 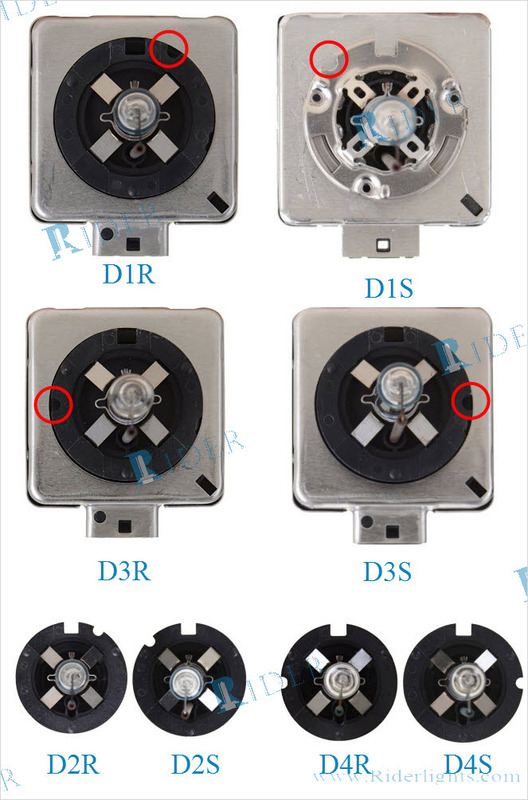 Another way to differentiate D1S vs D3S is based on the keying in the ignitor connector. 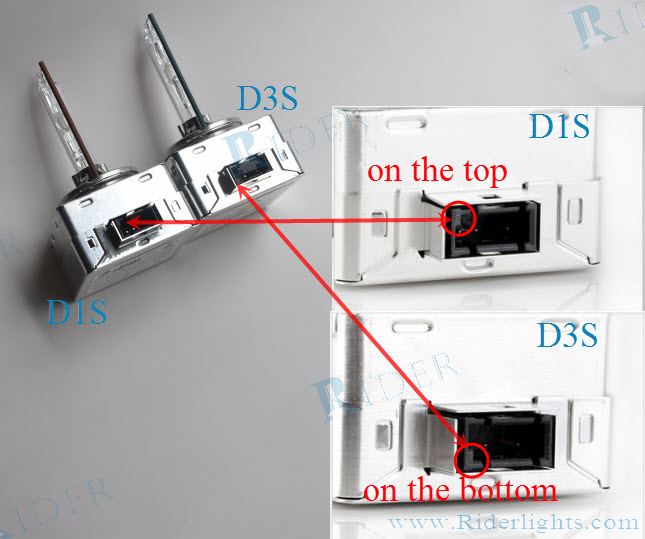 Finally, the last aftermarket type is sometimes called “D2H” which includes AMP connectors for aftermarket ballasts. It is always 85V / Mercury. Aftermarket bulbs (used when the OEM ballast fails, or for projector swaps) with AMP connectors are sometimes called “D2H”, and have enough notches to fit anything. 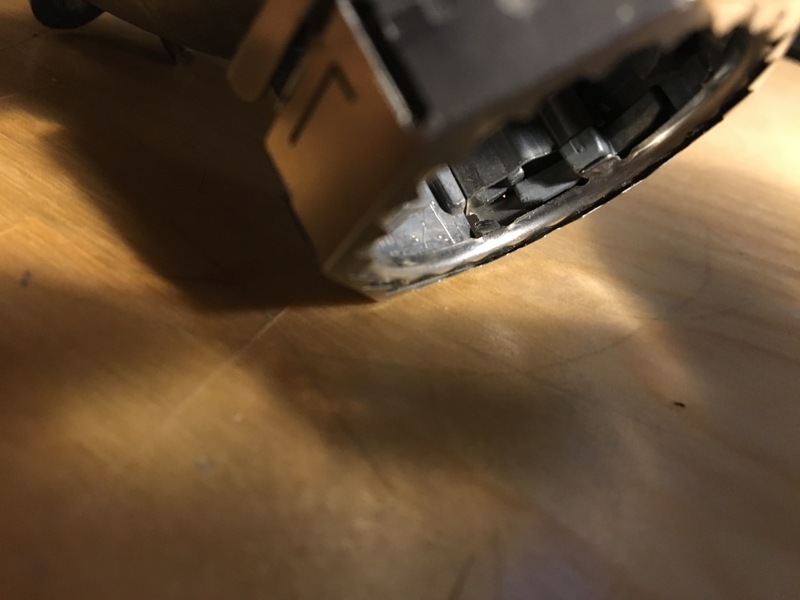 These are designed to allow aftermarket ballasts to be used after the OEM ballasts fail, or when projectors are retrofitted. These have the same downside as re-based HID bulbs: using them requires drilling into the headlight assembly to pass through the wires. Many thanks to this post, and the HID planet thread. When complete, the back should look like this. This removes the key entirely, so you are free to use whatever bulb/ballast combination makes you happy.